Above are the members from the UNIST-WRIRM-UniBasel Organ Mimetic Research Center. From left are Professor Joo Hun Kang, Professor Chaenyung Cha, Professor Tae-Eun Park, Professor Hyug Moo Kwon, Professor Cheol-Min Ghim, Professor Woonggyu Jung, and Professor Sung Chul Bae. Professor Hyun-Wook Kang is also a member of the center. UNIST-WRIRM-UniBasel Organ Mimetic Research Center has secured KRW 3.9 billion for the next 6 years. 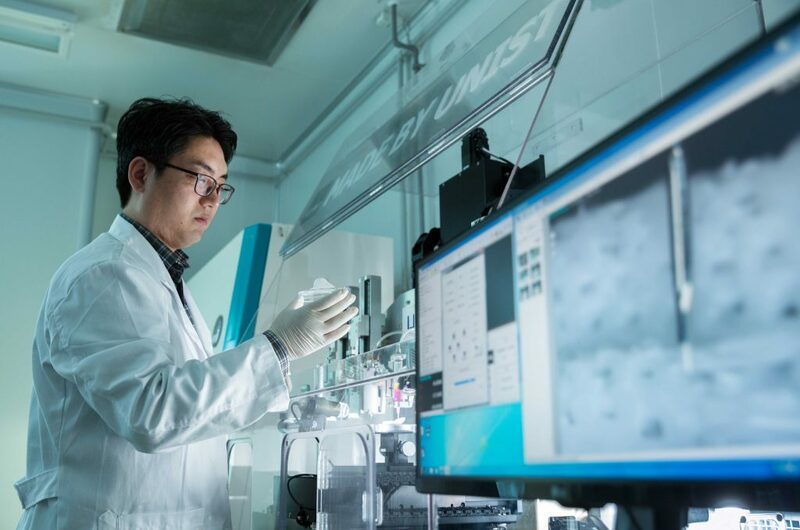 UNIST and Ulsan will initiate a research collaboration to develop human organs-on-chips in hoping to reduce the time and cost for new drug discovery. 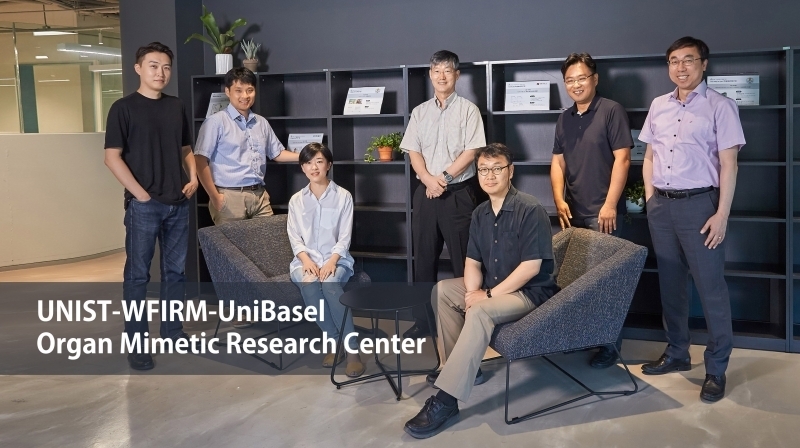 The UNIST-WRIRM-UniBasel Organ Mimetic Research Center has announced that it has been selected as the 2018 Global Research and Development Center (GRDC) program by the National Research Foundation of Korea (NRF). 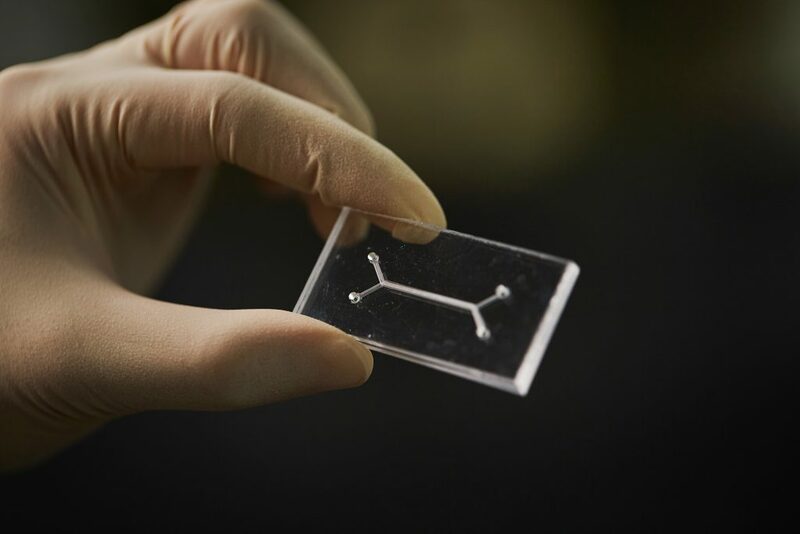 Jointly promoted by UNIST, Wake Forest Institute for Regenerative Medicine (WRIFM) and the University of Basel (UniBasel) in Switzerland, the center aims to study the research field of organ-on-chip models. The center will receive about KRW 3.3 billion from the government over the next six years and develop organs-on-chips, which will further accelerate new drug development. Ulsan will also contribute KRW 600 million (100 million won per year) to help nurture the regional biomedical industry. In addition, the center will also receive $3.3 million (KRW 3.74 billion) and $2.97 million (KRW 3.36 billion) in funding WRIFM and UniBasel, respectively. Shown above is an organ-on-a-chip with an artificial blood vessel system, which is currently being developed at UNIST. Organs-on-chips are miniature devices that recreate the natural physiological microenvironment of human cells within specific tissues and organs. These devices can help study how drugs interact with specific human organs and have the potential to predict the activity and toxicity of drugs better than using animal models. Each organ-on-a-chip can then be linked to others to investigate systemic drug effects. “Existing preclinical drug screening, which relies on cultured cells or animal experiments, does not reflect the physiological environment in which human organs work,” says Professor Cheol-Min Ghim in the School of Life Sciences at UNIST and Director of the UNIST-WRIRM-UniBasel Organ Mimetic Research Center. “Organs-on-chips show great promise in mimicking human tissues and organs and are a good candidate to overcome the problems of current organs-on-chips, such as time consumption and the ethical dilemma of animal testing. Professor Hyun-Wook Kang in the School of Life Sciences is handling 3D bioprinting equipment at UNIST. 3D bioprinting technology is also one of the biomimetic technologies that has received much attention, along with organs-on-chips. It uses a variety of cells and biomaterials to create complex 3D structures, similar to that of human tissues and organs.